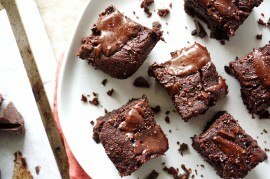 Gluten-Free Dairy Free Brownies | Tasty Kitchen: A Happy Recipe Community! Come together in less than an hour and so dense and chewy! 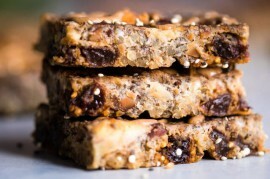 Paleo-friendly, healthy and so tasty! Preheat oven to 350ºF and line the bottom of an 8-inch pan with parchment paper. In a medium bowl, stir almond flour, cocoa powder, baking soda and salt. Set aside. 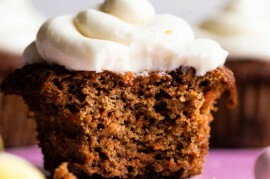 In a separate medium bowl, use an electric hand mixer to beat the sugar and oil just until sugar is moistened. Add all remaining ingredients, except chocolate chips, and beat until just combined, only about 20 seconds or so. 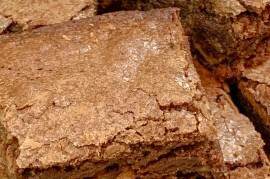 You don’t want to beat too much air into the batter or the brownies will sink when cooking. Pour the dry ingredients into the bowl and stir (by hand) until well mixed. Stir in chocolate chips. Press the batter into the prepared pan. It is very thick so I found using very lightly damp hands to work the best. 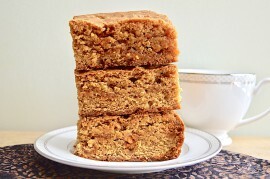 Bake until a toothpick inserted in the center comes out clean, about 26–28 minutes. Let cool completely before slicing. Devour! 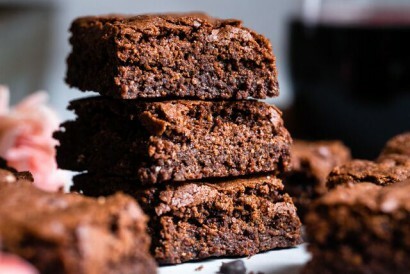 • The key to super chewy and dense brownies is to cool them fast so they stop cooking. I cool mine on the counter for 5 minutes. Then I place a hot pad in the fridge and cool them in there for 45 minutes. Don’t cool them in the fridge longer or they will dry out.